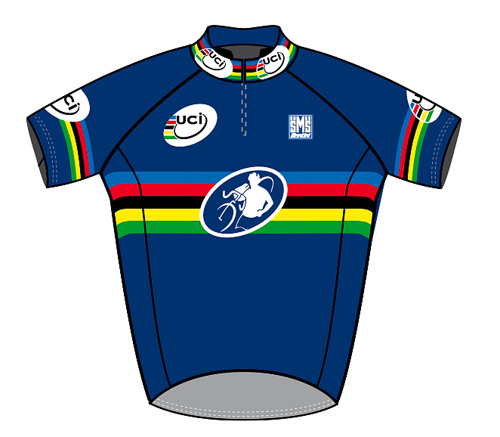 The next Masters Worlds jerseys will be fought over in Louisville. 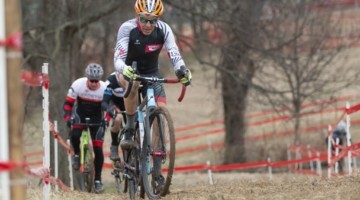 Masters racer and Cyclocross Magazine columnist Lee Waldman has been investigating Masters Worlds from a variety of angles. Today he brings you part three, interviewing a few of the folks helping shape the rules for the 2012 Masters World Championships in Loiusville. Missed his previous Masters coverage? Check it out here and here. Although it took me more time than I had hoped, I’m nothing if not perseverant. After writing two columns about Masters Worlds, there were still so many unanswered questions – What about registration? How will riders be seeded? 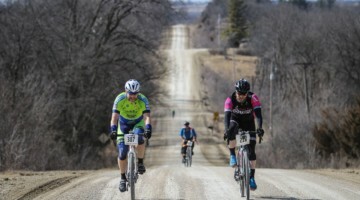 Will riders out of contention be pulled? Field sizes? To find answers, I went to the source. First I contacted Bruce Fina and Joan Hanscom, the promoters of next year’s event. I sent out queries to them and to Phillipe Marien, long time UCI Commisaire and promoter of the event in Mol. They were all extremely open, gracious and willing to answer my questions. All it took was a large dose of patience on my part. Everyone involved was waiting for the UCI to meet in February and attend to some of the issues that we here are wondering about: So, here, after quite a long delay, are some answers and my own personal comments. L W: I’ve been told that in Mol there has not been any pre-registration in the past. Is that common in Belgium for masters races? Do you think that there might ever be a need for pre-registration? Phillipe Marien: Usually we never have pre-registration in Belgium for races at all, but I’m convinced that for the World Masters pre-registration is a must. Organizing a pre-registration will make things much easier for participants and organization as well before as especially the day of the event. L W: Considering the problems with registration that took place at Bend two years ago, when the server shut down, what are you planning to do to ensure that something like that doesn’t happen again? Bruce Fina: We will have to see how they (The UCI) decide before we can determine the best way to register riders. 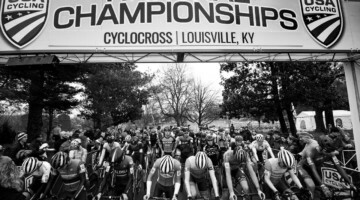 L W: One of the biggest concerns in the US regarding Louisville is the large number of riders expected. In your opinion should we limit the number of riders? If so, do you have any advice as to how we do that? Phillipe Marien: Cyclocross rules do not mention a limit for the number of riders. Nevertheless, I think a limit should be respected to guarantee equal chances for each rider and to keep the races safe and regular. How to limit the number of participants? This should be discussed with/within the UCI. My personal opinion is that 70 riders per race should be the limit. L.W: Do you have any estimates as far as the number of riders you feel will attend? 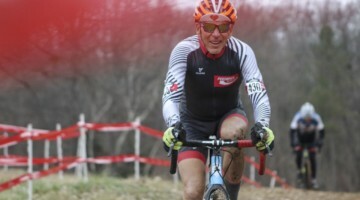 Bruce Fina: No idea, but we hope for as many as possible and we want to truly make it a festival of Masters Cyclocross. That said we will strive to make sure the winner is a fair and just World Champion. I know the UCI does not want to see huge fields where anyone is counted out from the start. We all know that not everyone can be front row. We also know that the best guy can still win from the 5th row. Lars Boom did it at a World Cup this season. We want every rider that comes to have a fair chance and finish based on their fitness, skill and luck. Yes luck plays a roll. Just ask Jonathan Page and Danny Summerhill. Both riding Worlds this year and having flats. We can say that we think everyone will like Louisville, the course, the venue and the race. L W: There seem to be lots of questions circulating around the question of how start positions will be determined for next year’s event. What plans have you made so far to address this issue? Bruce Fina: We are waiting for the UCI to determine how start positions will be determined. I have discussed it some with them but we make no decisions here. We promote the event as well as the venue and the City of Louisville. 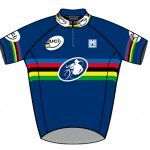 But the UCI runs all World Championships from the sporting side. As far as I know there will certainly be a random element as there seems to be no way to rank Masters riders from different countries. Even National Champions are hard to determine as there are a variety of age categories across nations. Some run 5 year groups and others 10 years or more. What I can say is that if there is a random draw, it will be random. It is our plan that if there is random, the rider will pick their own start number and not have an official or organizer picking it for them. L W: This past year the promoters for our nationals used a time trial to seed riders for the starting grid. Have you had problems / complaints in the past with the way you’ve seeded riders at your event? Do you have any thoughts on other approaches to seeding riders? Should it simple be a lottery system? Phillipe Marien: We always have used the lottery system, this is the fairest way to draw the starting order. In this particular category it is very difficult to gather an official national team or to check who is national champion or not. Each year there were some complaints from riders but that’s normal. L W: If there is some sort of pre-race qualifying “event” do you have any thoughts about what that should be and how it should be run? Bruce Fina: That’s for the UCI to determine. L W: One of the problems we’ve encountered here at the past few national championships has been the large number of riders who don’t have the physical ability and / or fitness to be competitive at a national level. 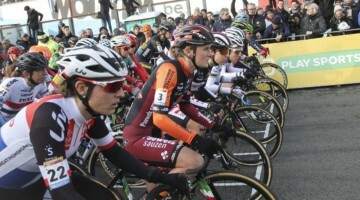 There have been many complaints because those riders sometimes impact the results of a race. Should we limit the fields in Louisville? If so, do you have any suggestions as to how we might accomplish that? Phillipe Marien: I already had a brief discussion with the organizer of Louisville during the Worlds in Sankt Wendel where I was Chief Commissaire. First of all I think that we need some more information on the different types of Masters licenses in the US. In this way a first selection could be made. L W: What are your feelings about officials pulling riders who aren’t in contention? Bruce Fina: It totally depends on the race category and competitiveness of the field, etc. That said I think there need to be clear rules. I do not like the options given to the UCI officials. There should be one rule and we should all live by that. I do not like the idea of driving or flying hours many hours to a race and then not knowing how it will be run. That said, I think for sure amateurs should be left in and allowed to race. I do not know of other racing sports where riders are pulled. Nascar? Formula 1? Nope. The only reason should be for international interference. Otherwise I think the guys leading are usually skillful enough to pass a lapped rider. Lets remember that only pros are racing for a living. Everyone else should be having fun. 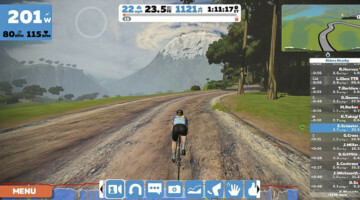 Is there a chance that someone will crash while lapping a rider? Sure. But that is also racing. Ultimately it would be best just to know what the rules are. L W: One of the comments about Mol was that the start straight was much too short. Never having raced at the Louisville venue this might be a moot point, but do you feel that your course has been designed to offer all riders a chance to sort themselves out before leaving the start straight and entering the course? Bruce Fina: You can check it out on Google Earth. The start straight in Louisville is the longest, straightest I have ever seen in ’cross. It is freshly paved and only used for ’cross. L W: Any other comments? Bruce Fina: Simply that everyone involved wants this event to be a good time with high-end racing but also entertainment and enjoyment. I think and hope it is possible to have both. And so there we have it. We have an idea of the thinking of some of the key players around the issue of field sizes, registration, and out of contention riders. No definitive answers yet, but at least we now have some indication of the direction that things will probably go. My hope is that it will at least give you all some level of comfort in knowing that at least a few of the concerns we have are being addressed. Have a comment or question? Drop it below. Thanks for waiting, thanks for reading, now go ride your bikes (hopefully your cyclocross bike). Sorry Paul, Believe me it was like pulling teeth to get these and it took me much, much longer than I had anticipated. I don't like the idea of limiting field sizes. Like Fina said, most of us don't race for a living. 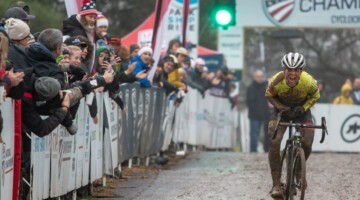 Most of us race cross because it's fun. Each of us do our best to place as high as possible. Putting category limits on it seems unfair as well. I'm a three, it would be a stretch for me to make it to a two between September and December. I would rather compete in qualifying races and not make to the final as a result of competition, rather than not be given the chance at all, which would be the case if category and field limits are in place. I have to agree with you. I got the feeling after reading the answers I got from Phillipe Marien that it's tough for Europeans to understand the large number of riders that we have in this country who regularly race cross. I Colorado, the two races my team promotes average over 300 riders per day and that's just average for our state. So when they talk about limiting fields they have a different perspective. Hopefully more logical thinking will prevail and we will all at least have a chance to compete. We have a plan and the UCI has rules in place to allow anyone that wants to race to compete as well as everyone to get a fair race in at least once. If registration is greater than a reasonable field limit of 75 we will have heat racing to advance to a final. There will also be a consolation final so everyone will get a position in the World Championship. Aside from bad luck and a day with bad legs, the best guy usually wins and I think that the best guy will win in Louisville. That said we also want everyone to have a great time and a chance to race their best. I think we have a reasonable plan that will be announced in full detail shortly. Thanks for weighing in Bruce! We look forward to hearing the full plan. About Random, when you ask why it has not been tried here before: we allow riders in Junior races as well as non ranked UCI riders to draw their own random numbers. It works well and easily. They are not always happy with the outcome, but never feel cheated.